Western Province Police Commissioner, Charles Lungu says murder is a major crime that is mainly been committed in Western Province. Mr. Lungu said there are a lot of murder cases emanating from land disputes, stock theft and social life differences in the province due to intolerance. The Police Commissioner disclosed this when Justice Minister Given Lubinda toured Western Division Police Offices in Mongu yesterday. ZANIS reports that Mr. Lungu told the Minister that the victims of murder were the old aged on suspicion of practicing witchcraft and that stock theft was rampart along the Zambia-Angola border. He said the police have put in place crime syndicates to reduce on murder cases and cross border theft adding that, it is now fully equipped with vehicles for operations. And Justice Minister, Given Lubinda said he is very concerned that most murder cases in Western Province were as a result of intolerance. 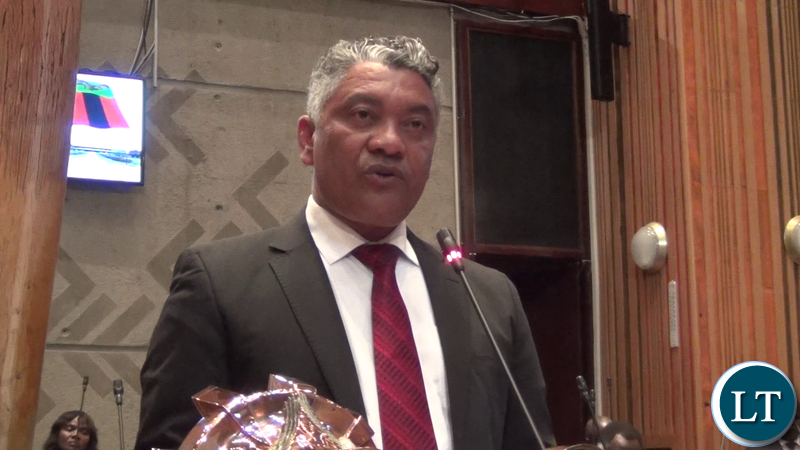 Mr. Lubinda said that there is need to establish the root cause of murder as people seemed to be ignoring the law adding that, increasing the number of police officers, courts or correctional facilities is not the solution. Mr. Lubinda said there is need for measures to sensitize the people on the values of community life as no one should be deprived off living rights. He added that, justice should not only be dispensed in courts but also in communities. The Justice Minister further stated that he is going to bring up the issue of increased murder cases targeting mostly the old aged in Western Province for discussion in cabinet and will seek to involve the Litunga Lubosi Imwiko in the matter. Mr. Lubinda said there is need to bring back respect for the elderly otherwise, if the situation is left unsolved, people should also prepare to be victims of murder when they grow up on suspicion of practicing witchcraft. Meanwhile, Justice Minister, Given Lubinda has reaffirmed government’s commitment in ensuring quick dispensation of Justice by providing adequate infrastructure. Mr. Lubinda said his Ministry is in the process of mobilising resources to improve infrastructure as he is fully aware of the challenges institutions of Justice are faced with. He stated that government will in the next few years ensure that all the provinces have a high court as part of the move to improve infrastructure and the Justice system in the country. Mr. Lubinda was speaking when he paid a courtesy call on Acting Kaoma District Commissioner (DC), Siachibuye Mwanagombe in Kaoma. The Minister was in the District to inspect Institutions of Justice that included Judiciary, Police, National Prosecutions Authority and Zambia Correction Service. Mr. Lubinda was accompanied by Western Province Minister, Richard Kapita during the inspection of Justice Institutions. All institutions through their officers- in- Charge presented similar challenges that included accommodation, transport and inadequate staff. Mr. Lubinda implored institutions of Justice to be prudent with utilisation of resources adding that, officers must sacrifice as government is putting in its best. And Mr. Kapita said government is working hard to find resources to address the challenges. He said accommodation problems should be considered in the next budget.